Oates Associates welcomes several new employees to support the firm’s Transportation Group – including Nicholas Moore, Mary Beth Hugenberg and Mariah Manis. Nick Moore, EIT recently joined Oates Associates as a junior engineer. Previously, he worked for a consulting firm where he prepared construction plans, specifications, and estimates for roadway projects and managed and supervised site related construction activities for the construction of two roadway underpasses. Nick graduated from Southern Illinois University Edwardsville in 2016 after earning his Bachelor of Science in Civil Engineering. He is currently attending Parkland College where he is working toward his Associates in Land Surveying. 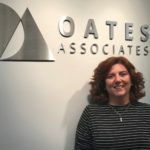 Mary Beth Hugenberg began at Oates Associates as an intern in 2017 and became a full-time junior engineer this year after graduating with her engineering degree from Saint Louis University. She is a member of the United States Air Force Reserves, assigned to a unit at Scott Air Force Base. She begins her military service as a Lieutenant. 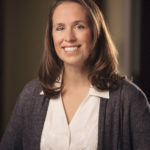 In her time at Oates, she has collected field data for the completion of ADA Transition Plans for the Cities of Ladue and Richmond Heights; assisted with plans for the reconstruction of West Clay Street and extension of Convention Center Boulevard in St. Charles; and she is currently assisting with roadway and drainage plans for the reconstruction of West Clay Street in Troy, Illinois. Mariah Manis, EIT supports the Bridge Group as a junior engineer at Oates Associates. Previously, while earning her degree at Southern Illinois University Carbondale, she was a summer intern for the Illinois Department of Transportation (IDOT) where she worked with engineers on the Illinois Route 13 bridge project. Mariah is currently assisting with work order assignments for IDOT, including bridge repairs on Interstate 255 for District 8 and the replacement of the single span structure carrying Bluegrass Lane over Spring Creek for District 9.